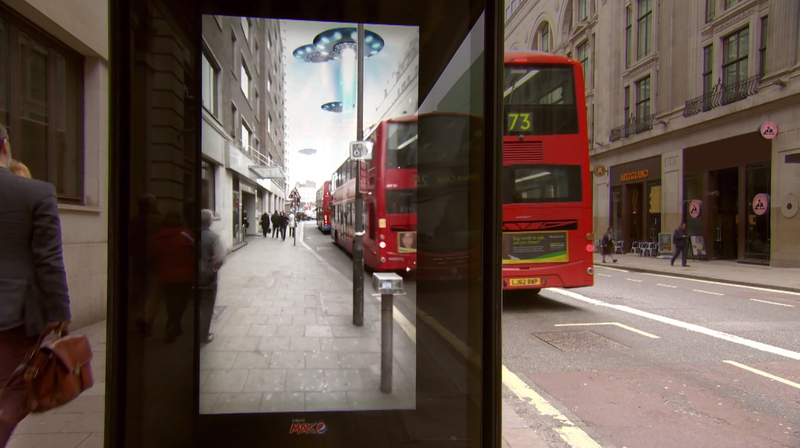 Pepsi MAX has been turning heads in a London bus stop especially wired to provide a digital out of home experience tied into the brand’s “Unbelievable” campaign. The New Oxford Street bus stop has a window doctored to provide a live feed of the street ahead, giving the illusion of a see-through display. 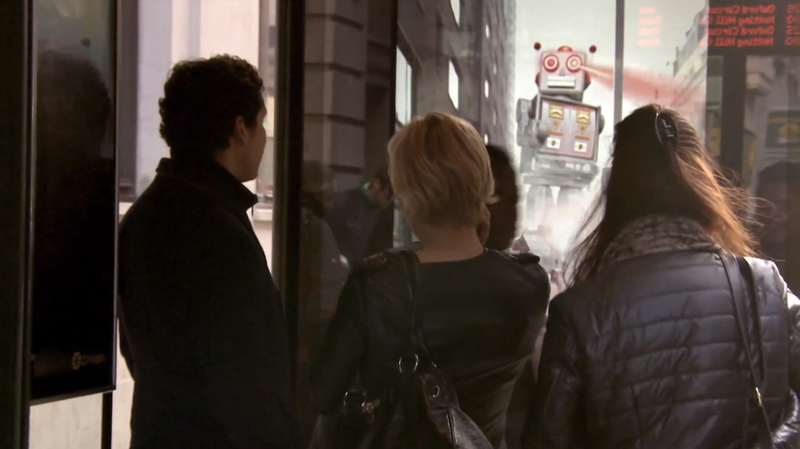 As people wait and watch, bespoke creative content shows an array of incredible scenarios unfolding on the street, including giant robot crashing though Oxford Street, a passer by being abducted by flying saucers, and a runaway tiger chasing pedestrians. This Unbelievable bus stop is part of PepsiCo’s Unbelievable’ campaign championing the combination of maximum taste AND no sugar. The bus shelter follows the Unbelievable Human Loop the Loop stunt with Damien Walters, released in February. The Unbelievable Bus Stop project was developed at AMV BBDO by creative directors Phil Martin and Colin Jones, creatives Richard Peretti and Gary Lathwell, account director Kristiana Grant and account planner Peter Zezulka. Media was handled at OMD UK by media planner Isobel Dracup and Maia Weil-Obadia. The Bus Stop was produced at Grand Visual by creative technology director Dan Dawson and producer Nadiya Abubakar. Outdoor buying was by Talon Outdoor by innovations director Richard Simkins, account managers Vicky Marshall and Rachael Wallis.